This article, by Francis Hagel, first appeared in Intellectual Property Magazine. It provides strong guidance, in checklist form, for those seeking to beat the odds that the patents they obtain will actually generate strategic value. Mr. Hagel is an IP strategy advisor from France. The article is reproduced with permission. In the drafting of a patent application, a practitioner starts from a blank page[i]. He/she enjoys the greatest freedom for shaping its content on the basis of the information at hand concerning the invention, its context and the prior art of interest, within the constraints set forth by patent law in the country of filing, keeping in mind the specifics of patent law in the major markets for the invention. This freedom applies to all parts of the application : definition of the technical field, description of the prior art, statement of purposes, description of embodiments and results, claims. There are thus myriad decisions to be made. Based on the understanding of the applicant’s objectives, the practitioner can ensure such decisions are in tune with these objectives. 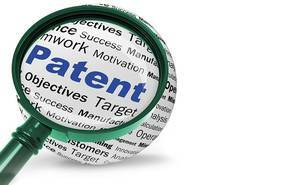 This is what can be called a strategic approach to the drafting of a patent application. Since a patent confers an exclusive right to the exploitation of an invention, it seems logical to infer that the applicant’s motivation is offensive, i.e. the objective is to dissuade third parties from placing on the market imitations of the invention. This concerns primarily operating companies which want to preserve the competitive advantage gained from the invention, but also applicants interested in an indirect exploitation through licenses or other partnerships. It is, however, well known to practitioners that applicants also pursue different objectives, which may be more important for the company’s interests, especially in the short and medium term[ii]. A general motivation for operating companies is their freedom of exploitation vis-à-vis third party patents, and it is true that the filing of a patent application effectively reduces risks as to freedom of exploitation by anticipating subsequently filed third party patent applications. Other motivations outside any contentious or potentially contentious context are linked to commercial differentiation and the resulting possibility of premium pricing, to the creation and management of relationships with partners (suppliers, clients, distributors, partners in R&D work, in JVs, licensees), to relationships with investors, funding authorities, tax authorities. Furthermore, gaining visibility and enhancing reputation as a source of expertise may be key motivations for patent filing. These motivations are not mutually exclusive, generally several motivations coexist, with different time horizons[iii]. These motivations may generate specific objectives which will translate into different “profiles” for the drafting of a patent application. The offensive motivation requires a scope of protection which encompasses not only the specific embodiment(s) of the invention conceived by the applicant, but also variations, so as to make it uneasy for competitors to circumvent the patent. In addition, the scope of protection should cover the various operating practices corresponding to the conceivable business models. The defensive objective focused on freedom of exploitation is primarily aimed at the ability of the application to anticipate subsequent patent filings by third parties (or in the case of an infringement claim from a competitor, to be helpful to reach a settlement by cross-licensing). The objective here may be to cover a broad range of technical alternatives capable of meeting present or predictable market needs. Objectives linked to the building and management of relationships with partners typically involve the ability to establish the rights of the applicant to its developments (“mark one’s territory”) and the legal value of its patent position. This is a general concern linked to the development of global outsourcing and “open innovation”. It is in particular a serious concern for technology start-ups. Such companies have to look for powerful business partners to fund R&D work. But they must also build a strong negotiating position so as to protect their technology rights to, and freedom to use past and future developments vis-à-vis partners prone to claim intellectual property or exclusive rights in return for their financial support. Another crucial concern for start-ups is their ability to attract venture capital investment. For this purpose, a requirement is a solid patent position. These relationships may start shortly after the filing of an initial application. In such cases, key pieces of information are the search reports or opinions issued by the patent offices. It is desirable from the applicant’s viewpoint that the search report or opinion does not classify prior art documents as anticipating the independent claims of the application. It is also important for the description to be well focused and provide information on embodiments which clearly meet the legal requirement of “sufficient” or “enabling” disclosure. When important motivations are reputation and visibility, a key objective of the application is to demonstrate technical expertise. For this purpose, the description of the application should provide evidence of this expertise by suitably detailed explanations and information. The section describing the prior art is itself significant especially when there is a strong dimension of academic research in the sector of interest. The term « technical field » in relation to an invention should be given close consideration. It is common to understand this term as a category of product or method, irrespective of the use intended for the product or method. For instance, it could be a class of electrical components such as a capacitor, whether the component is designed for very low or very high voltages, or for mass production as in automotive applications or smaller production as in the aerospace or oil & gas upstream applications. It is clear, however, that depending on the context of use, the component will be extremely different since each context implies a unique set of relevant requirements. The inventor of a component intended for use in a specific context factors in this set of requirements so as to conceive and develop a component suitable for the context. The field of use is a key factor in the strategic analysis as it is coextensive with the market which the invention seeks to address. It makes full sense to include the field of use in the definition of the technical field since the discussion of the prior art and the statement of objectives to be achieved are based on the parameters and constraints of the field of use and the “person skilled in the art” is a specialist of this field of use. At first glance, this approach may seem restrictive if compared with a definition of the technical field in terms of a category of product or method, not combined with a field of use, because the latter seems to cover all possible uses of a product or method. This is generally an illusion, because the scope defined by the claims will in fact be limited to their support in the application, i.e. the disclosure of embodiments relating to the field of use. The arguments which justify the patentability of the claims will also be related to the field of use only, thus are of no legal weight for uses outside this field. This approach has also the serious drawback of broadening the scope of search by patent offices to the category of product or method irrespective of a field of use, which frequently triggers the citation of prior art documents categorized as highly relevant although unrelated to the field of use. This casts doubts as to the legal strength of an application, a particularly unwelcome situation for a technology startup whose patent portfolio is bound to be scrutinized by a venture capital investor. The safer approach is thus to focus on the field of intended use, both in the claims and in the description. The subject matter of the claims should include as a limiting feature the field of use, which can be achieved by including features which are specific to the field of use. The mere mention of a field of use at the beginning of the claim, as a complement to the definition of the claimed subject matter, may not suffice to make it a limiting feature[iv]. This becomes still more uncertain where such mention comes after the word “especially”[v]. The description should likewise focus on the field of use, not only by disclosing embodiments in appropriate detail, but also by clearly defining the field of use and exposing its constraints and relevant parameters, some of which ordinarily belong to the tacit knowledge of the specialists of the field. This provides support for the possible amendment of claims by explicit mention of such a constraint or parameter, should this appear desirable. The value chain of a company includes all the activities which contribute to its operation – sale of consumer goods or equipment or provision of services – each activity adding its own value. The value chain typically includes outside the company upstream suppliers of inputs, downstream channels to market, and the providers of ancillary services, each having its value chain. For example, in the case of an equipment made up of subsystems, the chain may include suppliers of components, suppliers of subsystems, distributors or service providers renting the equipment, users of the equipment providing services e.g. data processing, consultancy firms providing expert assistance or maintenance. It is desirable from a patent applicant’s perspective to cover all activities involving the use of the invention, particularly the high-margin activities. While patent law provides that the exclusive right of a patent encompasses manufacturing, sale and use of the invention, it is helpful to draft claims in such a way that the performance of any of these activities is explicitly covered in itself by a claim or set of claims. For that purpose, different categories of claims must be used, each category tailored to a type of activity. For example, a category may relate to a critical component or subsystem (or subprocess), another category to the system or process as a whole, another category to the use of the system so as to cover the activity of a service provider. Some of the categories may be drafted as dependent claims so as to avoid objections as to unity of invention. A valuable benefit of this approach is that it is an efficient driver towards a broad definition, and this applies whether the activity is performed within the applicant’s organization or outside. This may apply on the upstream side. When a claim covers a critical component or subsystem (or subprocess), the features of the claim will form a subset of the features of the system as a whole, resulting in a scope broader than that provided by a claim directed to the whole system. This may also apply on the downstream side, if the invention is covered by a method claim reciting the steps performed during use. The drafting in terms of a sequence of method steps implies the use of functional language, which may be effective to avoid structure limitations, and implements a user’s perspective focused on performance features valuable to users. The focus on the user’s perspective as discussed above implies a market-oriented approach which may allow a much broader scope than the technology-oriented approach, assuming the invention addresses a user’s need unmet so far. This approach has the potential to cover not just an invention i.e. a technical solution meeting that need, but an innovation, which is linked to the user’s perception that the invention meets an unmet need[vi]. In that case, a patent may be very difficult to circumvent by competitors willing to catch up in the marketplace. Patent protection should not be considered in isolation, but as part of the applicant’s global strategy for the protection of its technical creations and developments. A key issue here is its interaction with the protection offered by secrecy, which may apply to information of any kind, whether patentable or not, provided it is not available to the public, by publication or commercialization. From a patent applicant’s perspective, there are conflicting concerns. The patent application must provide sufficient information to meet the requirement of patent law, and this information will become available to the public upon publication of the application. At the same time, it is desirable to avoid the disclosure to the public of highly detailed information, because this would help competitors save time in developments inspired from the published application. The trade-off for the applicant is to delineate the information to be included in the application on a need-to-know basis. The key elements of the invention must be documented in sufficient detail. It may be risky to merely state that an element is within the purview of the person skilled in the art. On the other hand, technical options may be listed without mentioning which option is the applicant’s preferred choice, and detailed designs with their accurate dimensions need not be replicated in the drawings when it is sufficient to show the design in principle to adequately support the claims. In the case of software-related inventions, the source code need not be included in the application when it is sufficient to describe the functional architecture by a block-diagram. Such an analysis is of prime significance for an applicant interested in negotiating licenses for the exploitation of the invention. The applicant will be in a stronger position if the license proposal combines a patent license and a knowhow license relating to detailed nformation not disclosed in the application. In the usual case in which foreign filing is to be considered, the countries which are the most significant markets for the invention must be identified. Patent law, including the assessment and interpretation defined by case law and its implementation by patent offices, greatly differ across countries. This applies to the structure of the claims. The two-part form, comprised of a preamble reciting the known features and a characterizing part reciting the new features, is prescribed by article R.612-7 of French law except “if required by the nature of the invention”. Rule 43(1) of the EPC is more flexible as the two-part form is only mandatory “if justified”. This kind of structure is possible in the US context (where it is called “Jepson format”) but US practitioners prefer the one-part form in which features are recited in their logical order, without distinction as to whether they are new or not[vii]. In practice, there are numerous cases in which a one-part form is justified because the two-part form would involve an artificial and unclear drafting, contrary to the legal requirement of clarity. Another issue in the drafting of claims is the functional language “means for” considered very broad in the European context but possibly counter-productive under US law as article 35 USC 112(f) of the AIA provides that this language limits the scope to the described embodiments and their equivalents. As regards the description, it is to be pointed out that the validity of a priority claim is subject to very strict conditions under the case law of the EPO, while the US Patent Office looks at this issue with a liberal approach. On the other hand, US law includes a unique requirement regarding the description, which implies the description of the best mode embodiment. It is to be noted that the AIA has removed the ability to challenge the validity of a patent based on the patentee’s failure to comply with the best mode requirement. Such requirement, however, is still in effect during the examination of an application. [i]The author of this phrase is Michel Vivant. [ii]Effects in the short and medium term imply the realization that pending applications in themselves do have value (Hagel, F. “Approval pending”, Intellectual Property Magazine, November 2011). [iii]The term « strategic patenting » has been used by economists to encompass all motivations other than the exclusion of imitations by competitors. Such use of the term “strategic” is negative, it implies that such motivations would not be fully legitimate and lead to a misuse of the patent system. It involves suspicion as to a strategic analysis of patent-related decisions and practices, while on the contrary such analysis is necessary to ensure decisions and practices are in line with the company’s global objectives. In addition, it implies that the use of patents for excluding imitations by others would not be strategic. This is just the opposite, such use is evidently strategic in the usual meaning of this word because of the potential benefit for the competitive position of the patent owner (see note vi). In addition, all issues at stake in the assertion and defense of patent rights are strategic. [iv]Under US law, the determination of whether the mention of a field of use in the preamble is a limiting feature is complex and to be assessed on a case-by-case basis (Kolitch S., “Patent Claim Construction : The Neglected preamble”, Oregon Intellectual Property Newsletter Vol. 8 No 1, Summer 2007). [v]As to the legal effect of the use of the term “especially”, the EPO and French courts have taken opposite positions in proceedings between companies ITP and Technip. In decision T1013/02 of February 17, 2004 revoking ITP’s European patent No 0890056, the EPO stated : “the use as oil pipelines to be laid at sea, mentioned in the preamble of claim 1, is not a limiting feature since it comes after the term “especially”. The claimed double-wall pipe is therefore a pipe in general.” In its decision ITP vs. Technip of September 22, 2010 relating to ITP’s French patent No 96 04812, the Paris Appeal court held the opposite view , on the basis of an assessment of the description, stating that the term “especially” is not to be understood literally and that the person skilled in the art is an engineer specialized in the conception and manufacturing of pipelines and not a specialist of pipes in general. Such definition of the person skilled in the art has led the court to dismiss Technip’s invalidity action. The position of the Paris Appeal Court was upheld by the French Supreme Court (“Cour de Cassation”) in a decision of December 13, 2011. 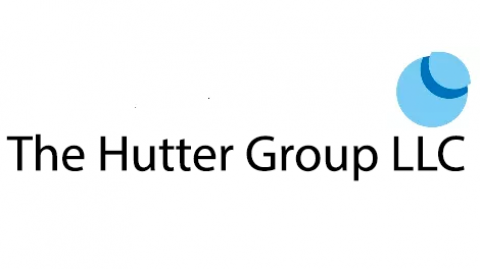 [vi]See Hutter J., “Strategic Patenting Part 1 : Why So Few Patents Create Real Value” , available at http://ipassetmaximizerblog.com/?p=1671. It is worth noting that in this contribution, the term “strategic patent” means a highly valuable patent, in the context of the exclusion effect of patents. [vii] The mention of a feature in the first part of the claim implies an admission by applicant that the feature belongs to the prior art.